I have a friend whose skin always looks angelic – glowing, but not too much. She insists that her secret lies with eating healthily and drinking lots of water – and yes I’m sure that is the answer to it all (isn’t it always?!) but I also found out her secret weapon: Liz Earle Cleanse & Polish Hot Cloth Cleanser. I had been sent a sample a few months back, so I raided my beauty stash and pulled it out in the hope that I could emulate my friend’s perfect skin. Along with the Deep Cleansing Mask which is now part of my daily routine, I think it really works. The first thing that I love about the cleanser is the bottle – no more squeezing the remainders out of a nearly-empty tube, the Liz Earle cleanser comes in a pump bottle that lets you use up every last drop. I’ve been very lazy when it comes to cleanser recently – Micellar water has been my go-to product mostly because I hate splashing my face with water – it just ruins any chance of a good hair day! So the good thing about the Liz Earle cleanser is that you apply it to a dry face (this feels sort of odd to begin with!) and then wash off with the provided hot cloth. The downside is that if, like me, you wear LOTS of Mascara, your face will resemble someone that has been working down in the mines! But all you have to do is rinse the cloth in warm water to clean it, and wipe away. The luxurious formula melts away all traces of makeup, and the cloth gives your skin a soft exfoliation. My 100ml bottle isn’t showing any signs of finishing, and I’ve been using it most mornings and nights for a few months now, I even double cleanse when I’ve had a serious makeup day, so value for money this product is amazing. Liz Earle only make one cleanser – they say it is suitable to most skin types and I’d say because the formula feels very gentle, I’m sure it really is. When my skin needs some extra loving, I’ve also been using the Deep Cleansing Mask which you can really feel pulling out the impurities from your skin. My skin looks and feels calmer after I use the mask and you can even use it as a ‘treatment’ over an affected area, if you don’t want to use the mask all over. 75ml of the Deep Cleansing Face Mask is £14.50 and available online here, and the Cleanse & Polish Hot Cloth Cleanser is available here for £14.95. 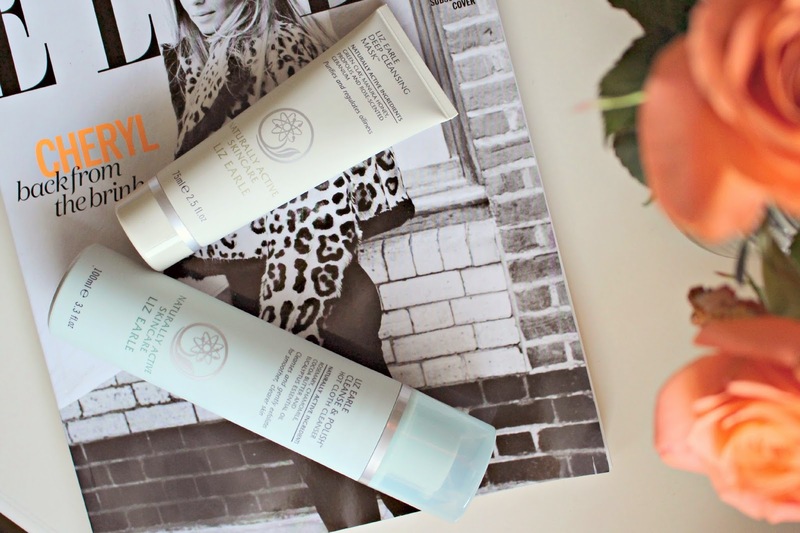 Have you tried the Liz Earle Hot Cloth Cleanser yet?